Local councils can be found across the rebel-held areas of Idlib in northwest Syria. 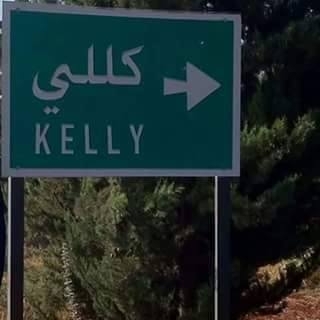 To provide a sample overview of the structure and operations of a local council in Idlib, I interviewed Khalid Ghanima, who is from the media department of the local council of the locality of Killi [also spelled: Kelly] in the north of Idlib province. Below is the interview with some condensing, editing and reordering for clarity. Any explanatory insertions are in square brackets. This interview was conducted on 7 October 2018 CE. Q: Firstly can you tell me a little about the locality of Killi? The number of inhabitants, the main families in it etc. A: Brother, Killi is located near Bab al-Hawa: some 7 km away. The number of original inhabitants is 30,000. The number of IDPs 5000. Q: The Ghanima family is among the largest families? A: Yes, third grouping in the locality. Q: So who are the biggest families? A: Talib, Hamada, Kharzum, and we, and perhaps some others. Q: When was Killi liberated and when was the local council formed? A: The locality is renowned for agriculture. Killi is among the localities that revolted at the beginning of the revolution. And it has offered martyrs, and its name among the localities is Killi al-Khansaa'- The Mother of Martyrs. The wounded: 111. Married martyrs: 160. Unmarried martyrs: 122. Q: So in total 282 martyrs? A: Around 305. 32 arrested. Q: So it was liberated in 2012? A: Yes, while Idlib the city entirely in 2015. Q: What are the main services that the local council offers? A: Services of sewage system, water and cleaning. Q: As for electricity, who is responsible for that? A: There is none. From the beginning of the revolution, all amperes. Big generators. Q: So the generators are private and not affiliated with the local council? Q: Currently the local council is affiliated with the Salvation Government? A: No brother, not affiliated with anyone. Civilian. Q: So independent. But do you work with for example the Salvation Government or the Interim Government? A: Not affiliated with anyone. Independent. Q: Yes, I know not affiliated with anyone. But sometimes for the sake of some projects do you cooperate with the Interim Government? A: We work with aid organizations. Q: Yes, with which aid organizations have you worked? A: There many of them: ACTED, Goal, Archenova, and others. Q: Yes. Generally how is the services situation in the locality of Killi? A: The services situation is very good. Q: What are the main problems from the realm of services in the locality of Killi and the area? A: The sole difficulty is that there is a neighbourhood suffering from a lack of sewage system. And the number of households is around 140 houses, and it is the northern neighbourhood. Q: There are no problems from lack of availability of water because of drought for example? A: The council is suffering from lack of ability to pump water because of the expenses, and lack of electricity movement, and the largeness of the network and many residents. No [problems because of drought], praise be to God, there are wells. Q: Yes, but drought is causing problems for agriculture? A: In the locality agriculture is normal. All the crops of ours are not irrigated: wheat, barley, chickpeas, fennel. Also the olives are not irrigated. It all relies on the winter rains. Q: Yes. And there were no winter rains last year, correct? A: Correct. The season was weak. And the year before, locust pests struck the crop. Q: By God. How many members in the local council? And what are the main divisions of it? A: 7 [sic: 8] offices: media, agriculture, finance, martyrs, diwan, public relations, education, services. The number of cleaning workers: 33. Services workers: 8. Q: Do the workers of the council receive salaries? A: Symbolic. And at the expense of the council. The salary is 30000 Syrian pounds. Q: The monthly salary is 30,000 Syrian pounds for each worker? A: For each head of office. And cleaning as well. But the services' workers: a little more, but harsh works. And the head of the local council does not take a salary. Voluntary. Q: Are there elections for the members of the local council? A: No brother. But they take the one of skill. Q: So how is the head of the local council chosen for example? A: Through the notables and seniors in the locality. Q: Yes. The schools in Killi are affiliated with whom? A: The council, and the oven and water spring [are affiliated with it as well]. The support for the schools is through aid organizations: salaries. Q: Yes. As for the salaries of the members of the council: from where do they come? A: From returns for the oven. The oven is the only thing from which income comes. Q: So there is no financial aid from organizations for salaries of members of the council? Q: No taxes on the people of the locality for some of the services? Q: What are the most important projects that the local council has undertaken? A: Paving the dirt roads with gravel at the expense of the council. And supporting some of the salaries of the voluntary teachers. Q: When was this project [paving the roads]? A: Still continuing until now.